We cater to WORLDWIDE CUSTOMERS … wherever you are !!! Transfer Factor Plus boosts the immune system up to 437% and Transfer Factor Trifactor Formula 283%. A very significant and extraordinary increase. Do you have Health challenges ??? Don’t you worry, we do have a solution for that … what ever it is … just continue reading and find it out here. You may contact us later as you may wish. During the recent employee summer party, 4Life President and CEO Danny Lee announced that May was the best sales month in company history. The news comes in the middle of the company’s year-long 20th anniversary celebration. Salt Lake City, Utah (March 8, 2017) In commemoration of 4Life’s 20-year anniversary, Direct Selling News featured the company with a cover story in its March edition. In 20 Years: Science Keeps 4Life’s Eye on Longevity, reporter Heather Martin distinguishes the company’s product quality and innovation as key factors in its historical success and central to the success of the 4Life opportunity moving forward. Founders David and Bianca Lisonbee started 4Life in 1998 with the goal to take 4Life Transfer Factor® to the world. Today, thanks to hundreds of thousands of distributors and customers, 4Life has offices in 24 countries and ranks among the top 100 global direct selling companies in the world. That belief in practice now drives the Lisonbees and 4Life executive team as the company prepares to partner with worldwide distributors for 4Life20 Convention in Salt Lake City, Utah (April 11–14). 4Life is accredited by the Better Business Bureau and enjoys an A+ ranking in customer satisfaction. In the fall of 2017, Global Health & Pharma recognized 4Life as the top supplement manufacturer in the United States. Read the Direct Selling News article. 4Life has 24 offices around the world to serve a global network of independent distributors and their customers. Salt Lake City, Utah (December 29, 2017) As a new year approaches, 4Life Research® has been ranked among the official Global 100 Supplement Providers for 2017. This honor comes as a result of being named Best Health & Fitness Supplement Provider in the United States by Global Health & Pharma earlier this year. David and Bianca Lisonbee founded 4Life in 1998. Since then, the Utah-based direct seller has focused on scientific innovation, entrepreneurial success, and philanthropic service wherever distributors conduct business around the world. In 2017, the company was the recipient of four American Business Awards’ Stevie® Awards and the People’s Choice Stevie Award for 4LifeTransform Burn®, SupplySide® CPG Editor’s Choice Finalist for 4LifeTransform Burn in the weight management category, Global Health & Pharma’s Best Health & Fitness Supplement Provider in the United States, and now among the world’s best on the Global 100. Salt Lake City, Utah (June 28, 2017) 4Life is the 2017 People’s Choice Stevie Award recipient for Best New Product: 4LifeTransform Burn®. More than 3,600 nominations were submitted in this year’s American Business Awards competition. More than 38,000 votes over a one-month period were cast for this year’s People’s Choice Stevie Award. President and CEO Steve Tew and his wife Sherma attended the banquet at the Marriott Marquis in New York City to accept the honor. Salt Lake City, Utah (June 6, 2017) As reported in the Direct Selling News (DSN) Global 100 issue, 4Life enjoyed more than 100% growth between 2009 and 2016. 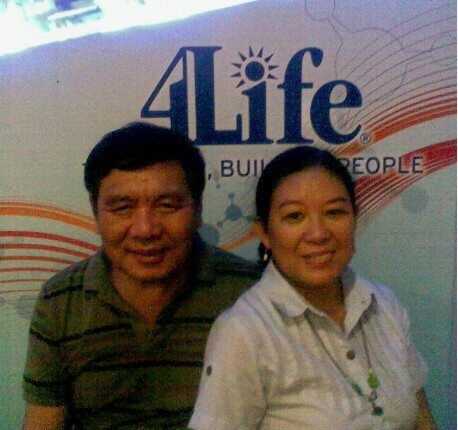 4Life ranks in the top ten companies in the world with 119% growth. In 2010, DSN Global 100 first ranked companies based on their revenues. Each of those companies have appeared on the list every year since then. According to DSN Global, only ten of those have reported over 100% growth since 2010. 4Life has offices on five continents to serve a global network of independent distributors and their customers.